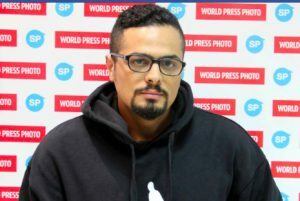 Agence France Presse photographer Abdullah Doma was freed late during the night after having been again arrested, this time by anti-terrorism investigators. His original detention last Tuesday was understood to be connected with photographs he took at last week’s celebration of Earth Hour at Benghazi university. He was released without charge the following day and thanked all those at home and abroad who has sent messages of support. He also said that he was grateful for his treatment by the police. He was again detained today, on this occasion by the anti-terrorism department of the interior ministry’s homeland security organisation. Family members are said to have confirmed that Doma was called to a police station yesterday. He was told that he was wanted for questioning but when he arrived with a relative, he was informed he was under arrest. No indication has yet been given of what connection Doma is alleged to have had with terrorism. His earlier arrest came after pictures he took of the Earth Hour celebration at the university’s medical faculty were posted on his social media page and then widely circulated. There are concerns among local and international media that Doma’s renewed imprisonment may be an attempt by the Thinni government to intimidate journalists. Doma, highly-rated as a photographer, is from Benghazi. His pictures showed young people dancing and singing along to a rock band. The ministry of Awqaf and Islamic Affairs in the Beida-based government of Abdullah Thinni protested that the way the Earth Hour event was celebrated was sinful and evil and did not belong to Islam. It objected to the mixing of young men and women, some of the latter without head covering. It also referred to the use of signs of “Satanism and Freemasonry” which appears the refer to the typical enthusiastic hand gestures used by the crowds and performers at pop concerts around the world. The Benghazi security directorate had also arrested three people believed to have organised the Earth Hour event, the third year it had been marked at Benghazi university. Brothers Aseel Attia Al-Magharbi and Wissam Attia Al-Magharbi were released last week but Anwar Al-Kadiki was only freed yesterday. Growing Salafist Islamisation is seen as becoming an issue in areas under the LNA’s control. In February, Major-General Abdul Razzaq Al-Nazhuri, the Libyan National Army’s chief of staff and military commander between Ben Jawad and Derna briefly tried to ban women under 60 years of ago from flying out of Labraq airport unless accompanied by a male guardian. Four days later in the face of a widespread furore, Nazhuri dropped the ban but replaced it with a rule that all Libyans between the age of 18 and 45 had to obtain security clearance before they could travel abroad.